EBJI » New EBJI Competitors in Vacaville! You are Here:EBJI >> News >> New EBJI Competitors in Vacaville! New EBJI Competitors in Vacaville! Comments Off on New EBJI Competitors in Vacaville! 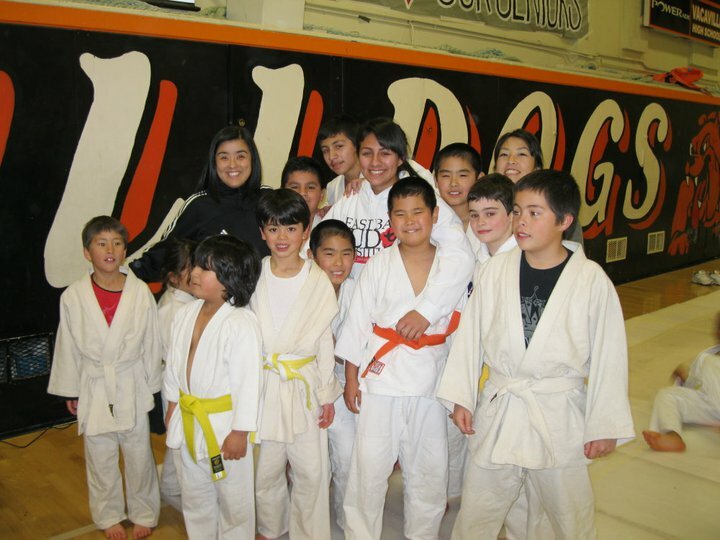 The East Bay Judo Institute had many first-time competitors compete at the 2011 Makimoto Judo Tournament in Vacaville on February 27, 2011. Leading the way for EBJI taking Gold Medals were Nathan Ho, Nico Gonzalez, Nathan Canadas and Jeff Fujimoto. This was Nathan’s first tournament and he won 4 matches to take home the gold. Nico also won all 3 of his matches to claim the second gold medal for EBJI. Nathan C. defeated several tough opponents to claim EBJI’s third gold medal of the day. Finally, Jeff, who recently started training at EBJI, won the gold medal in the men’s black belt division, winning all his matches as well. Sato Matsumoto, Masa Matsumoto and Damien Torres all won silver medals in their respective divisions. Cory Irie and Jared Beane, won bronze medals in their divisions, rounding out the medal count for EBJI. Several other EBJI members competed and gained ample competition experience for the future. First time competitors were Cole Irie, Yuval Wolf, and Dominic Ho. Estefany Gonzalez, Issac Torres,Brandon Izzo and Taka Matsumoto also competed. Overall, EBJI had 16 competitors. Congratulations to all participants who fought hard and represented the dojo well.